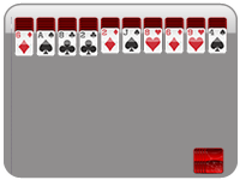 Spider Solitaire has cast its web at 247spidersolitaire.com! It has caught hundreds of fun and free solitaire web games for you to play to your hearts content! If you have enjoyed other solitaire games such as klondike or patience solitaire but are new to Spider Solitaire then you are in for a real treat! Spider Solitaire is very similar to these other solitaire games and just as fun! 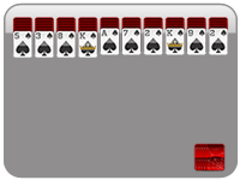 There are 10 card foundations, generate 8 stacks of cards with your king through your ace. If every foundation within the Spider Solitaire game has at least one card then you will have access to additional cards. To see your additional cards in the Spider Solitaire game simply click on the cards at the bottom right corner of the Spider Solitaire game. Play Spider Solitaire in several different exciting free web versions! Play with one, two, or four suits! 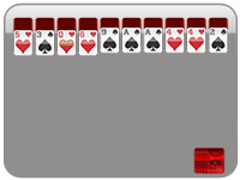 Players enjoying One Suit Spider Solitaire may place any cards of the same suit on top of each other as long as they are in ascending order. 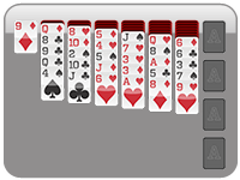 Enjoy Spider Solitaire, where the game is tricky and the web is sticky! 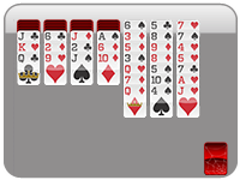 Challenge yourself with Spider Solitaire! Try to earn 3 stars on every Spider Solitaire game! Spider Solitaire has been completed when all of the card stacks are removed. 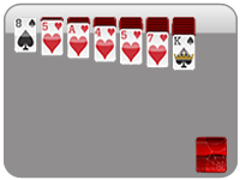 Add more cards to your Spider Solitaire foundation by selecting the card stack at the bottom right corner of the screen.